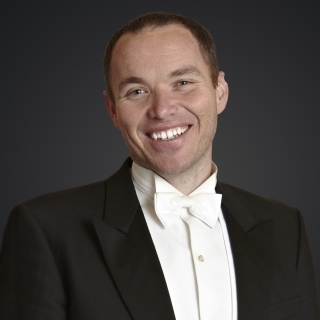 Tim Buzbee has been the Principal Tubist with the Melbourne Symphony Orchestra since 2010. Tim grew up in Queen City, Texas and knows knows he would probably be flipping burgers if not for the help of teachers Ed Jones, Gene Pokorny, and Matt Good. He has performed as guest tubist with many orchestras including the Chicago Symphony, Danish Radio Orchestra, Swedish Radio Orchestra, Dallas Wind Symphony, Malaysia Philharmonic and the Helsingborg Symphony. As a solist he has performed with the Iceland Symphony, Singapore Symphony, Acapulco Symphony, Marshall Symphony and the “Pershing Own” Army Band in Washington D.C and currently has two solo cds on the Albany Record label. Before taking his position at the MSO he held the Principal Tuba position at the Iceland Symphony, Chicago Civic Orchestra, Acapulco Philharmonic, Singapore Symphony, Gavle Symphony, and the Malmo Symphony. a chef, or working on a fishing boat in Alaska! Which musical figures would you invite to your house for dinner? And what would you serve? What are your favourite sporting teams?